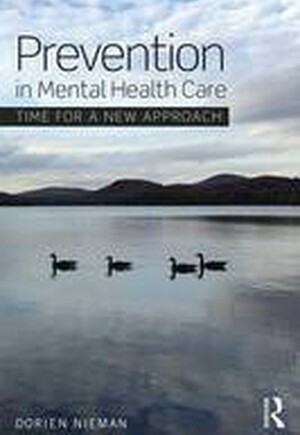 Prevention in Mental Health Care: Time for a new approach focuses on the limitations in current psychiatric practice and research. Many professionals working in mental health care, as well as patients with psychiatric symptoms, are dissatisfied with what is currently offered by the discipline, with respect to the diagnosis and treatment of psychiatric disorders. This book discusses possibilities and opportunities for change, and is the first to combine recent scientific research results with insights from philosophy and art. Illustrating these points with elaborate case studies, Prevention in Mental Health Care promotes a deeper understanding and a new model of mental health care, with an emphasis on prevention and natural recovery. Prevention in Mental Health Care will be of use to qualified or trainee practitioners, clinical psychologists, psychiatrists, social workers, occupational therapists and nurses working with the current classification systems and treatment methods in psychiatry. Furthermore, the book will appeal to students, lecturers and researchers, as well as those with a general interest in mental health care.